Actually no oscs. You have to connect audio sources to inputs [X] and [Y]. Great sound though. 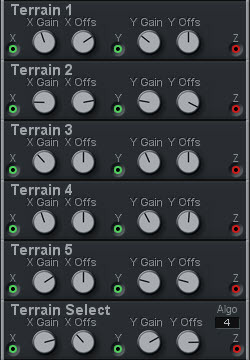 unifies all algorithms of Terrain1 to 5.